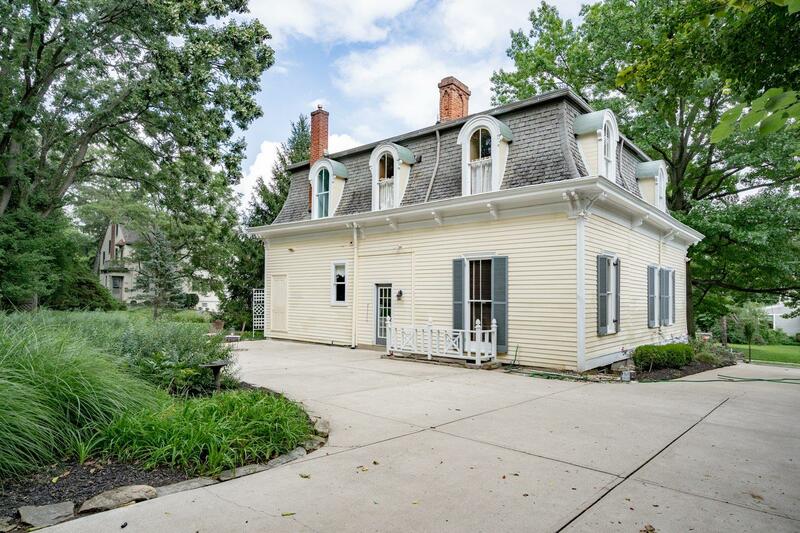 Yes, this yellow gingerbread-clad Wyoming house is adorable but it has a really cool backstory, too. 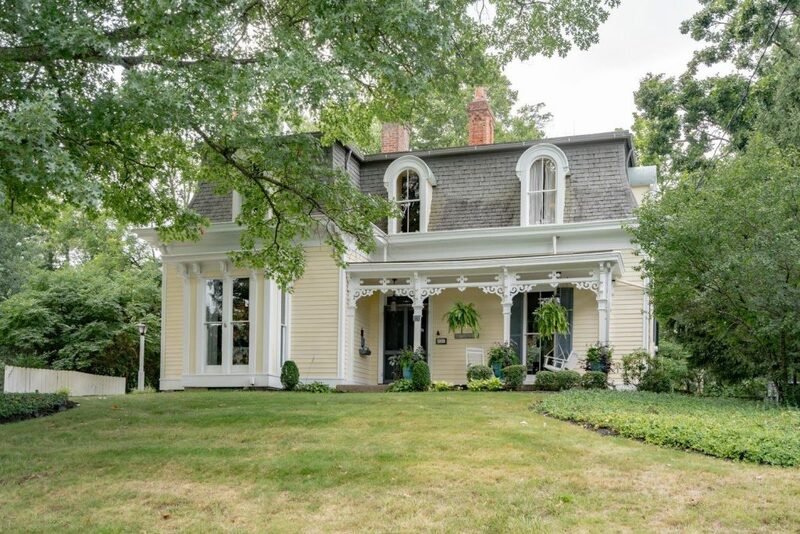 Listed on the National Register of Historic Places, legend has it this circa 1870 home was moved in the 1920’s from the Springfield Pike location where it was originally built. Apparently, a woman named Carolyn Grigg paid $500 for the place and then relocated it—how is anyone’s guess—to the corner of Brooks and Jewett in Wyoming. 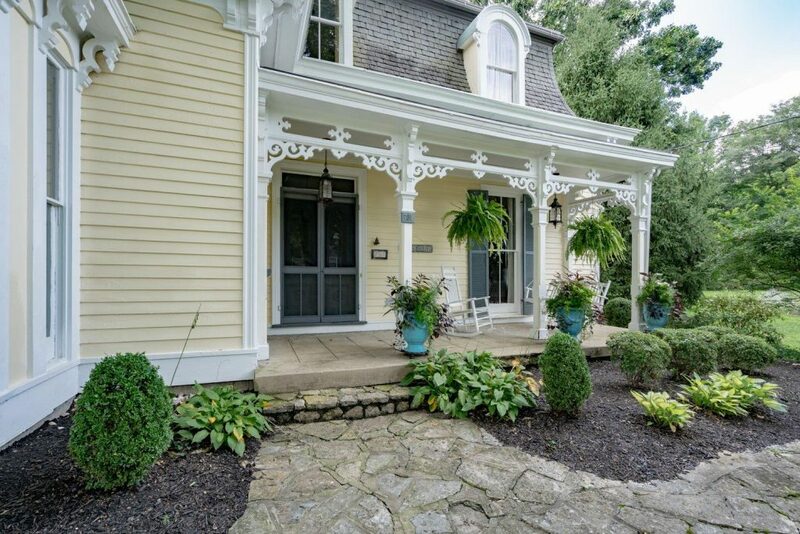 She then went on to fully restore it; later, Cincinnati artist Don Dennis purchased and lived in the home as well. 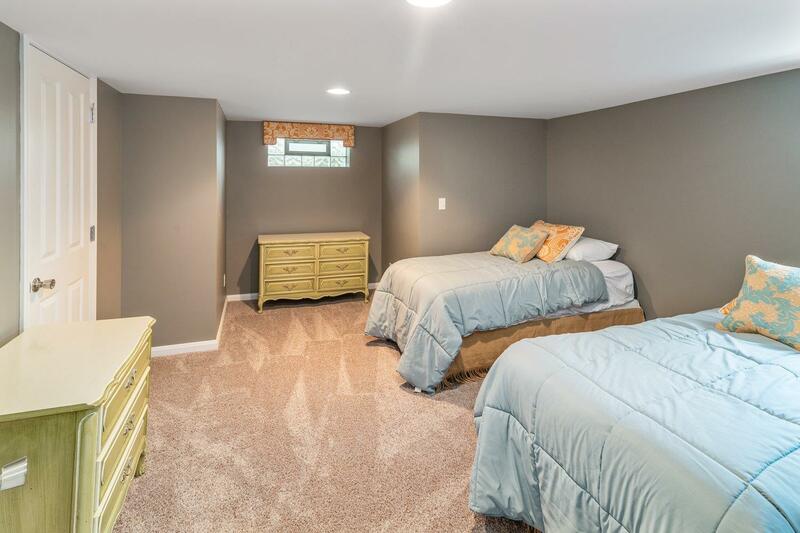 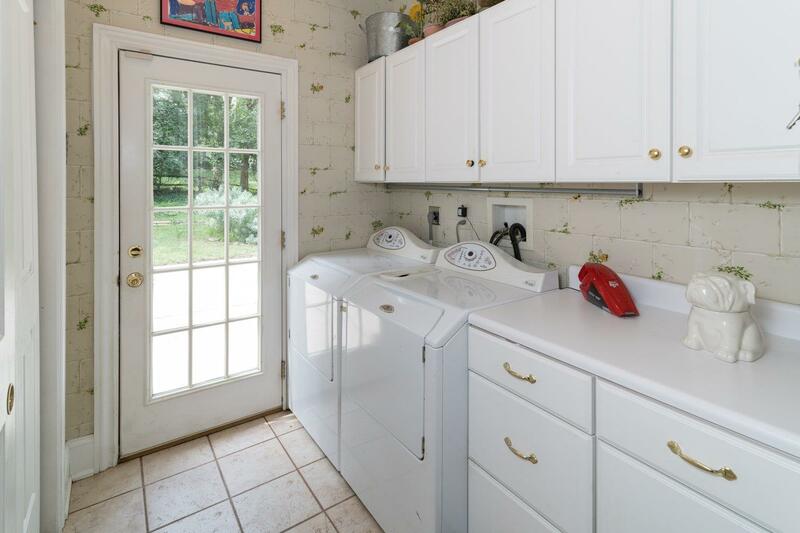 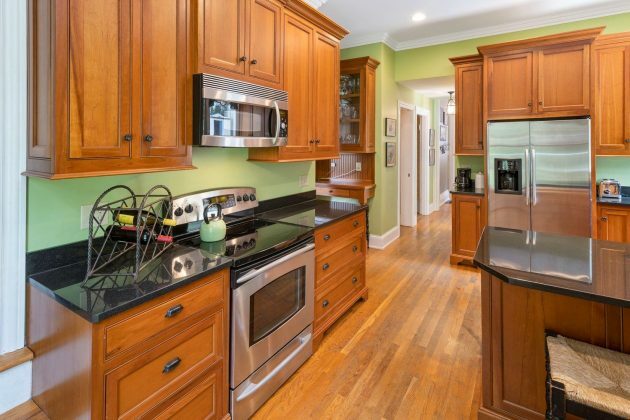 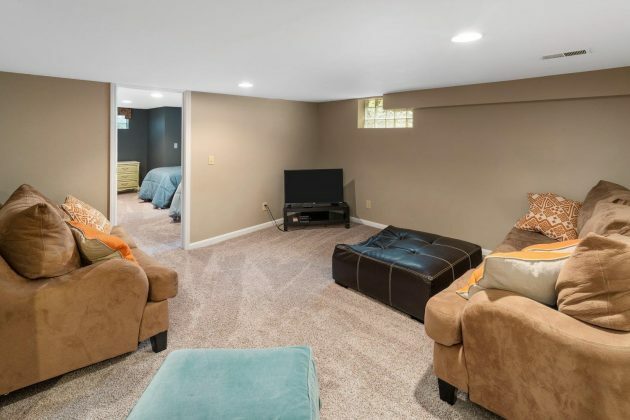 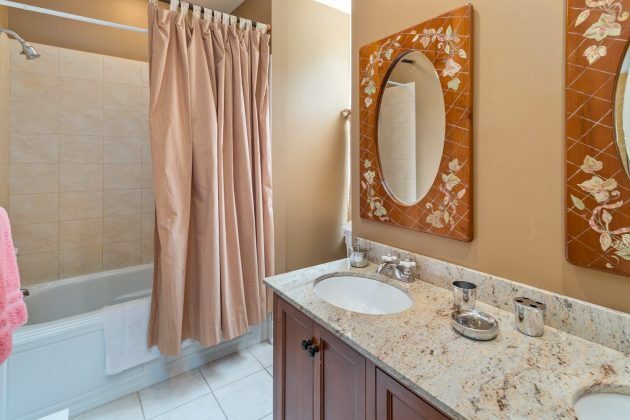 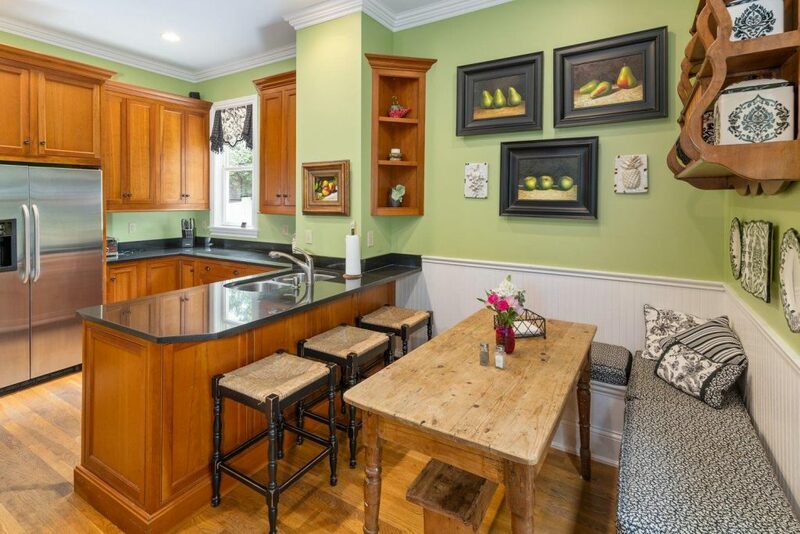 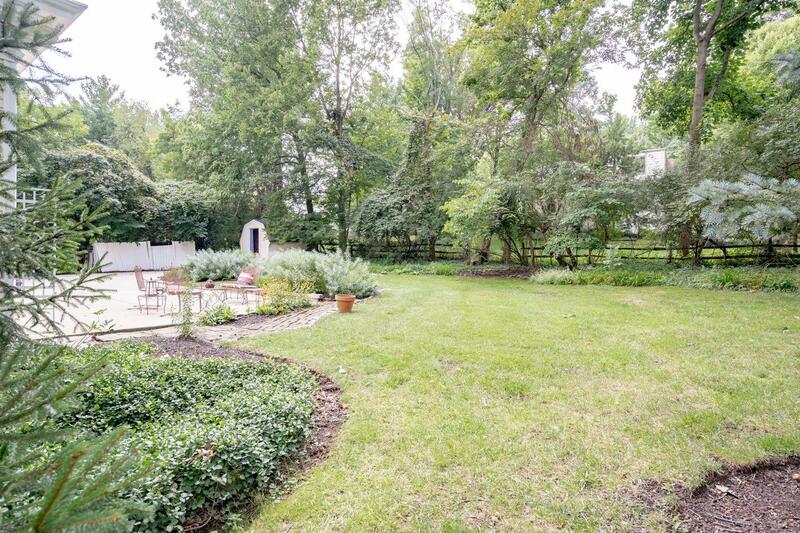 Today it’s on the market, complete with updated kitchen and baths plus a finished basement. 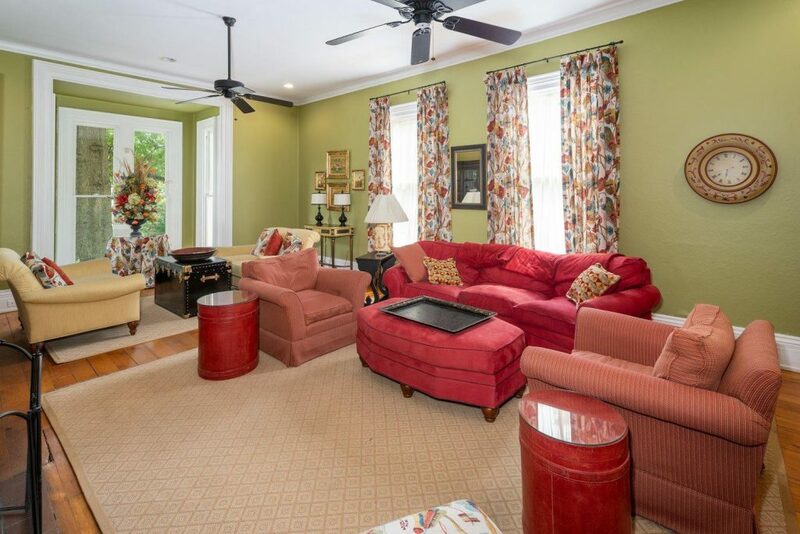 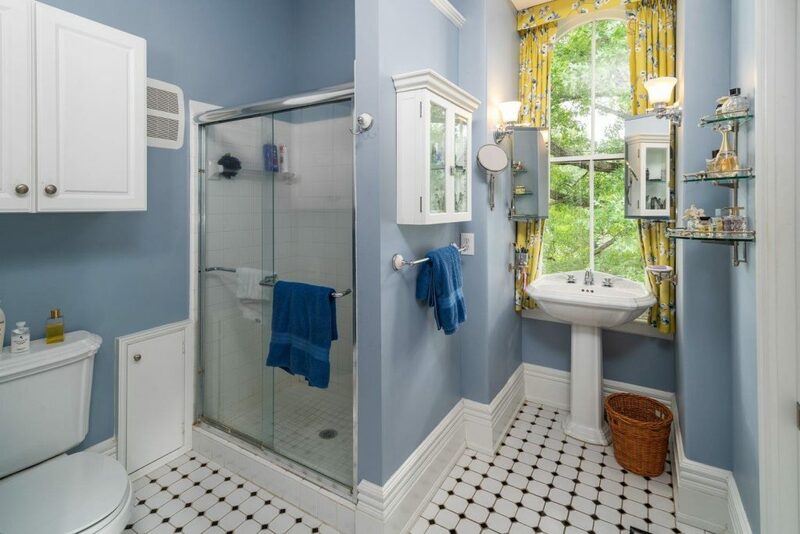 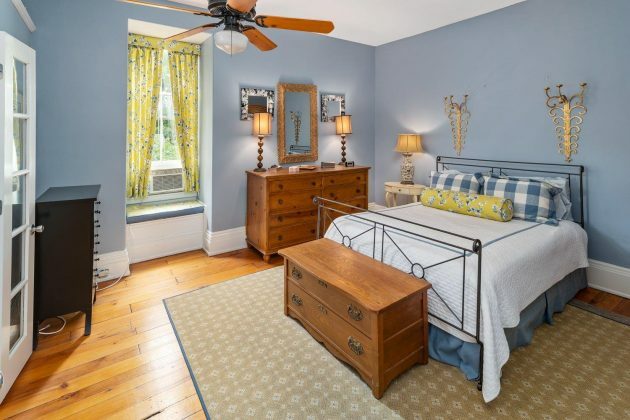 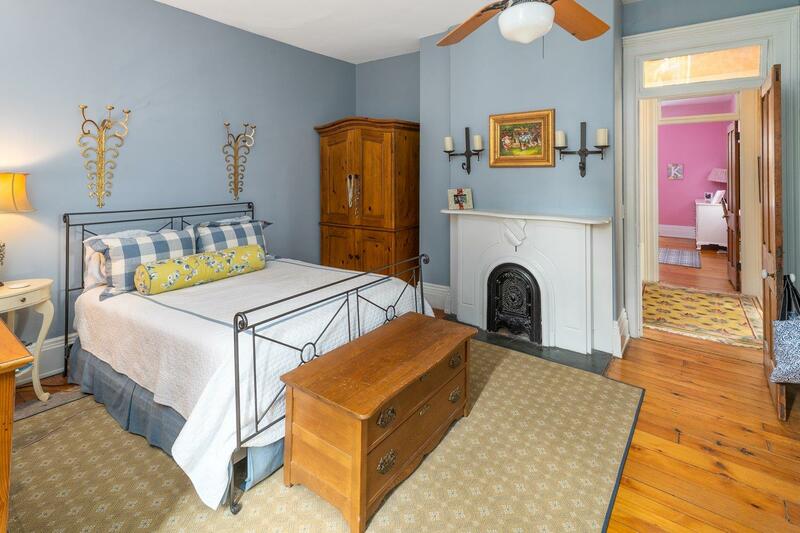 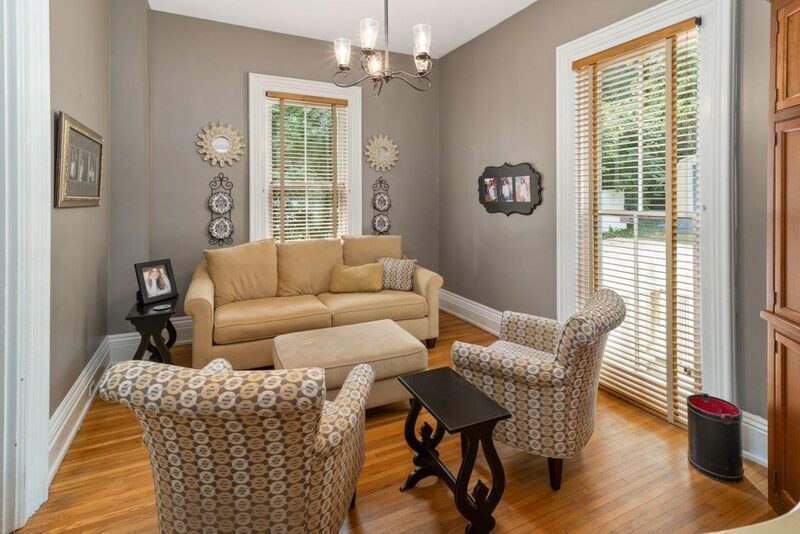 The home still retains tons of historic charm, thanks to fireplaces, window seats and hardwood floors throughout. 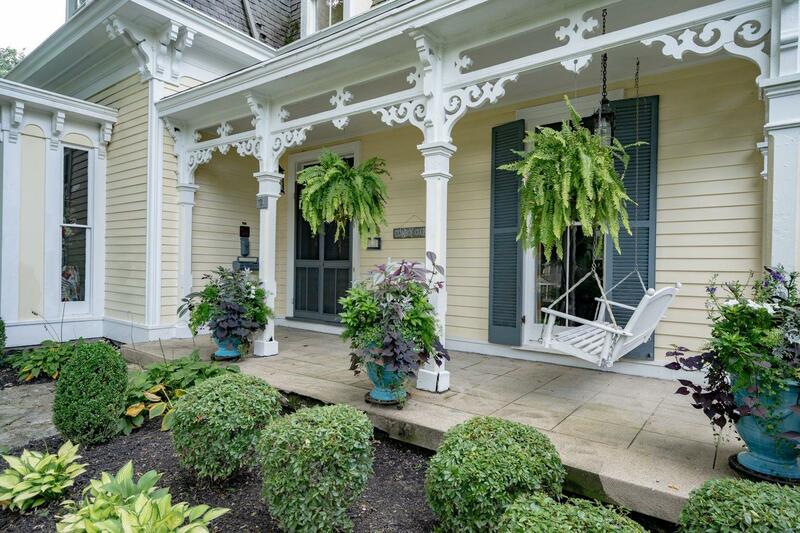 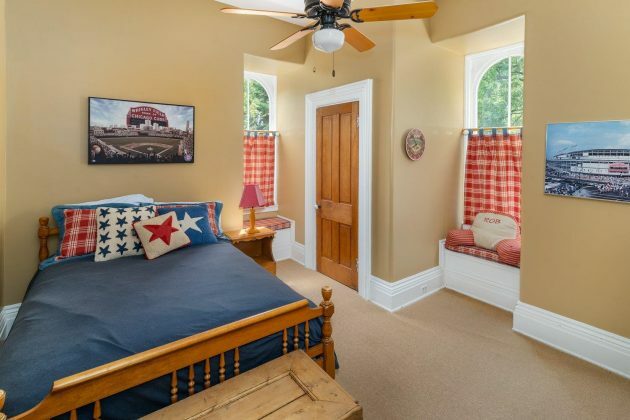 Architecturally, we’re huge fans of those arched second-story dormer windows and the breezy front porch, just beckoning visitors to sit a spell.